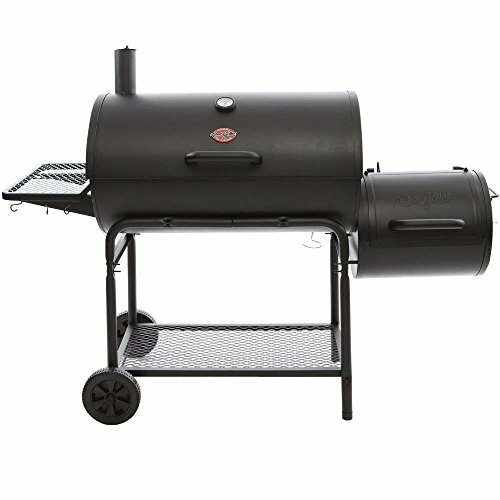 The great features and high quality of the Smokin’ Champ make it a better option than many grills that cost twice as much. 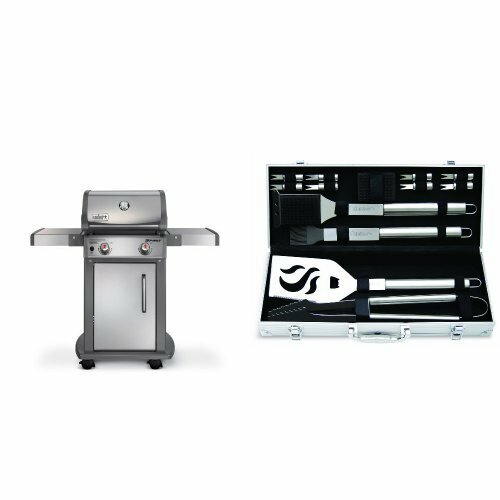 Its versatility is appreciated by barbecue pros and backyard enthusiasts. 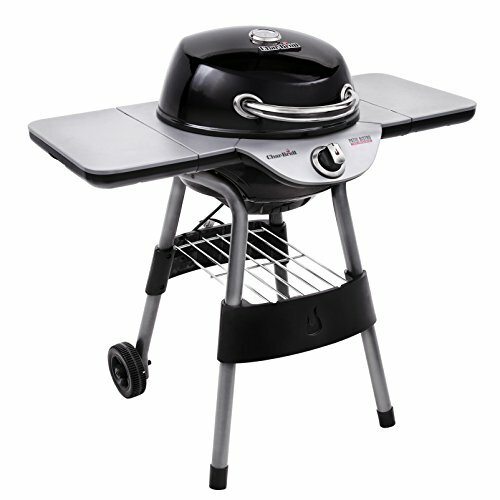 It features a large grilling area of 1238 sq. in. with cast iron grates that heat evenly and lock in the flavor of your food. 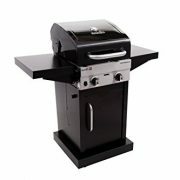 The main grill barrel is 675 sq. in. There is a 256 sq. in. side firebox for smoking meats. 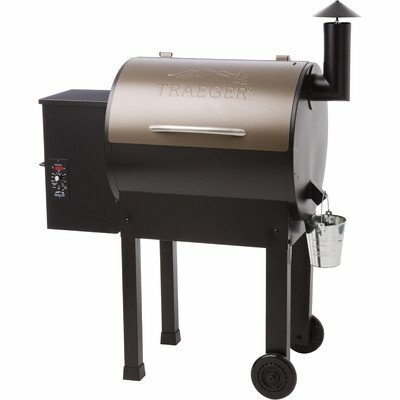 The warming rack is 307 sq. in. The ash box is easy to clean. Durably made of heavy gauge steel, this grill will last for years. 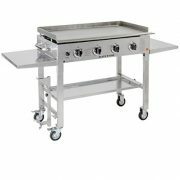 There is a built-in heat gauge, airtight flanged hood and two metal shelves. Rotisserie and warming rack adaptable.